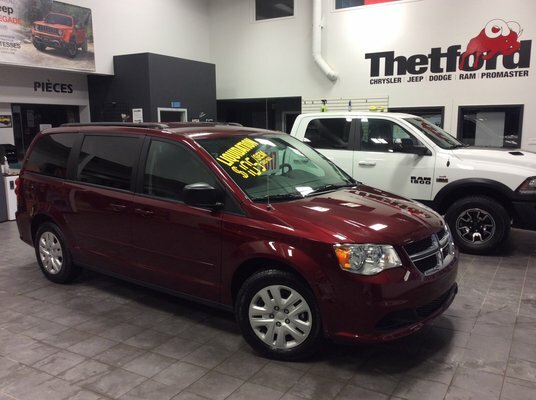 SUPERBE DODGE GRAND CARAVAN SXT 2017 7 PASSAGERS STOW'N GO TRÈS BIEN ÉQUIPÉ FLAMBANT NEUF LIQUIDATION WOW! AUTOMATIQUE,VOLANT EN CUIR,CLIMATISEUR GROUPE ÉLECTRIQUE,MIRROIRS CHAUFFANTS ÉLECTRIQUE,BLUETOOTH,AUX,SIRIUS,VITRE TEINTÉS D'ORIGINE,RAIL DE TOIT,TRÈS BIEN ÉQUIPÉ WOW! Ce véhicule, Dodge Grand Caravan SXT /STOW'NGO/NEUF/BLUETOOTH**105$SEM.0$COMPTANT* 2017 7 PASSAGERS/LIQUIDATION/FLAMBANT NEUF/+DE 13 000$ DE RABAIS $$$$ vous intéresse?